Signs of Spring are finally appearing in the East Kootenay’s as the Winter snow FINALLY melts. RV owners are bringing their units out of storage in preparation for for another summer full of exciting adventures. While you may be anxious to hit the highway, some spring maintenance is in order if you want to enjoy a problem free travel season. Here at Snowy Peaks RV we are starting to book appointments to get RVs de-winterized and prepared for the summer season. The following checklist contains several helpful hints to get your camper or coach ready so you can begin with your travelling adventures. – Fully charge batteries with trickle charger. – Top up wet cell batteries with distilled water if necessary. – Hydrometer test cell levels (wet cell batteries). – Reinstall and reconnect batteries. – Check roof for any signs of water damage. Even newer models can sustain water leakage over winter. If there is any signs of a leak get it repaired right away. – Check all seams for missing or cracked sealant. If any cracks or general wear and tear is discovered remove existing sealant and apply new sealant (touch ups are OK for newer small cracks). – Lubricate all hinges and locks with spray lubricant. – Test slide room for proper function and inspect the slide seal condition; lubricate seal with a slide seal lubricant. Lubricate the slide rail with a slide out dry lube. – Check Windows, mouldings, access doors, and compartment doors for a watertight seal. – Check roof vents, skylights, and air conditioner shrouds, etc. Repair/replace damaged covers immediately. – Wash rubber roof and treat with UV protecting chemical. – Wash any dirt or black streaks that occurred during the colder months. – Check condition of gate valves. – Drain and flush tanks thoroughly. – Test fresh water system for leaks with pressurized air. 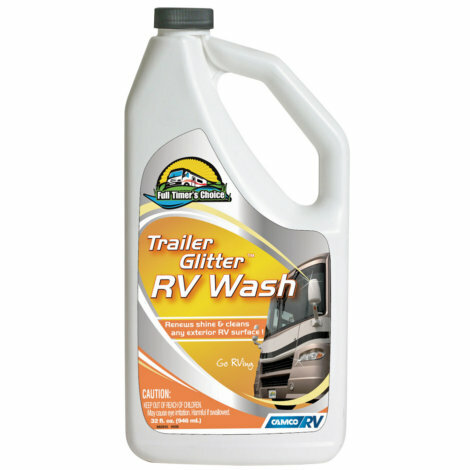 – Clean/Sanitize fresh tanks and lines with RV approved solution. – Blow out burner area of any bugs or debris. – Flush water heater of any sediment/debris. – Un-bypass water heater tank. Suburban Water Heaters – reinstall anode rod (replace if over 70% deteriorated). Atwood Water Heaters – reinstall plastic plug. – Check shackles, u-bolts and springs for any signs of damage or excessive wear. – Repack wheel bearings every other year. – Check lug nut torque and ensure it is to the manufacturers specifications. – Inspect tires for cracks or other damages, and set to correct inflation. – Test breakaway switch for proper function.